Will Jessica Jones and The Punisher Be Cancelled? Can Daredevil, Iron Fist, and Luke Cage Be Saved? When Netflix started rolling out its Marvel superhero shows in 2015–kicking off with Daredevil–they met with much acclaim and looked to be establishing a powerhouse lineup on the streaming service that would stick around for years. But now as we approach the end of 2018, three shows have been cancelled (Daredevil, Iron Fist, and Luke Cage), one show appears to have been a one-and-out deal (The Defenders) and only two remain active with new seasons planned for 2019 (Jessica Jones and The Punisher). So how did such a celebrated franchise find itself in dire straits after only a few years? 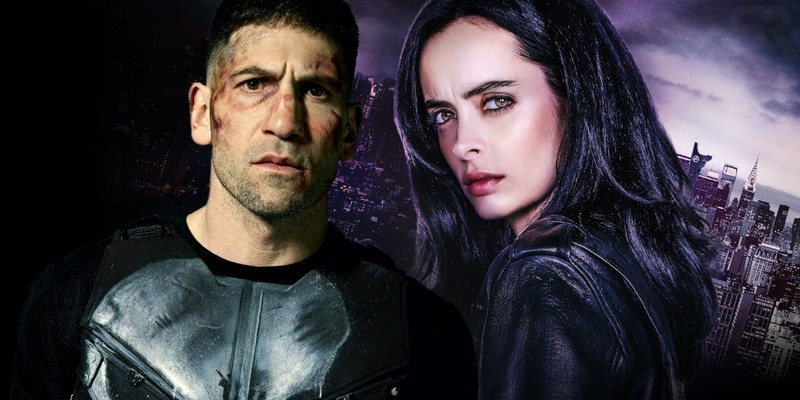 Will Jessica Jones and The Punisher meet the same fate as the other shows after their upcoming seasons? Is it possible that any or all of these shows can be saved by another venue? The core reason for the current state of the Marvel Netflix shows boils down to corporate politics. Back when The Defenders solo and team-up shows were originally announced, Netflix was the biggest of the streaming services (still is) and Disney/Marvel decided to team up with that company to further expand its Marvel Universe on the small screen (Agents of SHIELD and Agent Carter were already on ABC). And that worked out pretty well as Daredevil, Jessica Jones, and Luke Cage all met with rave reviews and strong viewership. Iron Fist was generally disliked in its first season and the Defenders team-up received somewhat mixed reviews, but they still performed very well as Netflix originals. However, as those shows were building up their little corner of the Marvel Universe, Disney started plans for its own streaming service which will come to fruition next year when Disney+ debuts. And that decision appears to have played a major role in determining the fate of the Marvel Netflix shows. While each of the Defenders solo entries enjoyed strong viewership during their first seasons, Luke Cage and Iron Fist saw viewership drop by close to two thirds in their second seasons and Daredevil saw a notable drop in its third season. That appears to be part of the reason for the cancellations, but it also looks like Disney/Marvel pushed for Netflix to end the shows, almost certainly because the Mouse House did not want to be competing with itself once the Disney+ service comes online. The fact is that even though the viewership was down for these shows, Daredevil currently ranks as Netflix’s fourth most popular show based on viewership demand. So it is not like these shows are languishing and can barely sustain viewership. Instead it appears that Disney/Marvel decided to end these shows so that it can get a fresh start with the new streaming service. Originally when Netflix and Marvel started cancelling the Defenders shows, I thought the obvious next step would be for them to move over to the Disney+ streaming service, but there are a few issues with that. 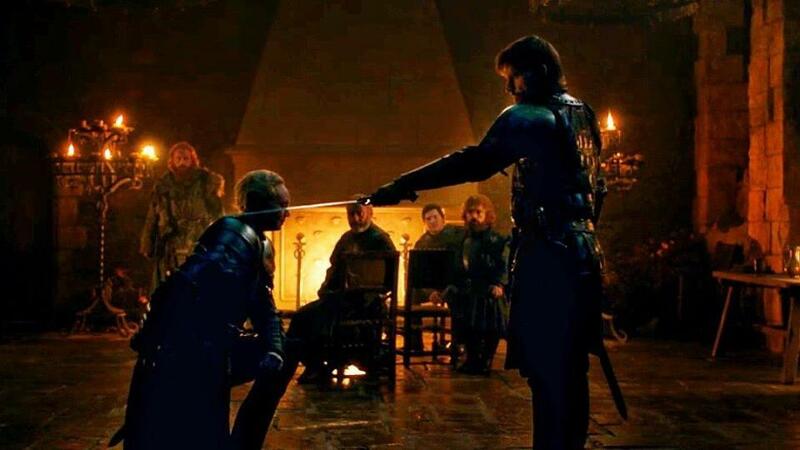 For one, when you consider the violence, language, and sexual situations they contain, these shows are not really going to fit in well with the family-friendly image that Disney will almost certainly be pushing with its new service. Of course, it is possible to tone done the shows to a PG-13 level which is more akin to what we see from the MCU movies, and I’m sure that most fans would rather have that than nothing. But there is one other factor to consider. Netflix has the rights to the already completed seasons of the Defenders shows and they will be staying with that service. So that would definitely be another reason to dissuade Disney from continuing the shows if prior seasons are at another venue. It also appears that the new superhero shows that will run on Disney+ will have closer ties to the Movies with mini-series for Loki, Scarlet Witch and Vision, plus Falcon and the Winter Soldier in the works. These will bring in some of the same creative talent that worked on the movies and allegedly that camp does not get along well with the group the has worked on the TV shows. So Disney+ now looks like an unlikely landing place for the Defenders shows, and I have a hard time seeing another streaming service picking them up seeing as Netflix will retain the rights to the completed seasons. So what does that mean for the two active shows Jessica Jones (returning for its third season) and The Punisher (returning for its second season)? Almost certainly, their upcoming seasons will be their last. Daredevil writer Tamara Becher-Wilkinson told io9.com in an interview that “if I was a betting woman, you know, my guess is that it’s the end of the Marvel universe on Netflix”. 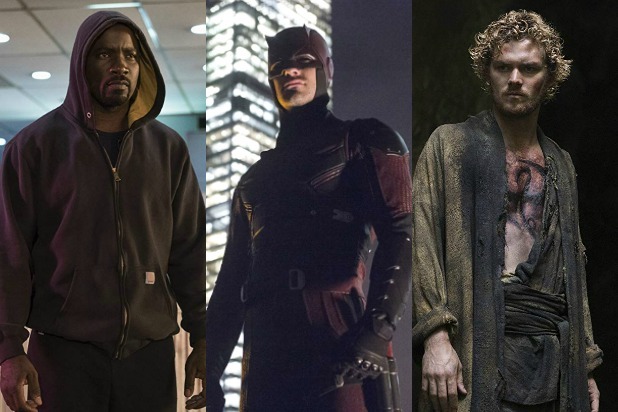 It is possible that Daredevil, Luke Cage, and/or Iron Fist could make appearances in the upcoming seasons of either or both of those shows because Marvel previously indicated that it had future plans for the characters. But beyond that, it looks the Netflix run of the Defenders shows could end once those two have played out their upcoming seasons. Can the fans save these shows like they did with Lucifer (picked up by Netflix) and The Expanse (picked up by Amazon)? Well, that’s tricky because of the corporate politics and rights issues. Lucifer and The Expanse were cancelled by their networks because of low Nielsen returns, but the strong outpouring of support proved that those shows had a much bigger following than the outed methodology of that ratings company indicated. Netflix, on the other hand, knows exactly how many people are watching their shows, and as indicated above it looks like at least Daredevil remains one of their most popular originals. So it is not strictly viewership that is driving the cancellations. Fans currently have an active campaign to save Daredevil, and there are online petitions for both Luke Cage (at this link) and Iron Fist (at this link). I believe they should continue these efforts even though the odds seem to be against the shows getting saved. And actually, it might make the most sense to consolidate efforts and lobby for a second season of The Defenders that will bring all of the heroes together and act as a conclusion or sorts for the solo and team-up shows. Netflix might be persuaded in this direction because it would give them a nice, tidy package of episodes that could be syndicated together and bring in further profits. Or perhaps do a fourth season of Daredevil and bring all the characters together on that to resolve as many storylines as possible. It will definitely be an uphill battle, but it could produce results if fans are diligent and remain active. It seems like a shame to let these shows go out on such a sour note after they were greeted with such enthusiasm. But if the fans rally together and bring enough attention to their cause, maybe Netflix and Marvel will see their way to greenlighting at least one more season to bring these characters together and give them a proper send-off.